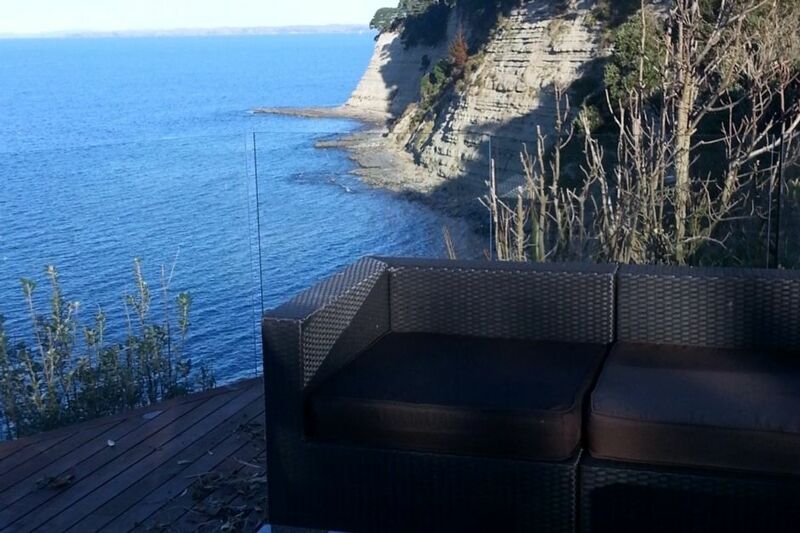 Enjoy a summer break of lifestyle resort living in this 4 - 5 bedroom secluded absolute cliff top home overlooking the pristine islands of the Hauraki Gulf. With a heated pool and spa, 100m+ of decks, BBQ and lawns this family home represents all that is great in a coastal holiday. 5 minutes walk to Long Bay Reserve and Regional Park via the cliff top walkway. 4 beaches within 5 minutes drive. Master double bedroom with en-suite, second double, 2 single rooms with own bathroom and separate downstairs double sofa bed. Full kitchen facilities, BBQ, 4 bathrooms / showers in total. Sky TV with sky sports channels. Outdoor chiminea. 10 mins to Albany Mega shopping centre, 6 mins to Oteha Valley road motorway on ramp with access to city in 15 mins off peak. Available now for bookings Dec 2015 - Feb 2016 and other dates by arrangement. Minimun period 7 nights. Lovely home in a beautiful location, absolutely amazing views. We were lucky enough to secure this property for our hockey team competing in the World Masters Games at North Harbour - location was perfect, and the use of both spa and pool for after match was an added bonus. This property has amazing views, very relaxing and with the extra bathrooms catered to all our requirements. Lovely walks and beach within 5mins - perfect! Thanks to Warren and family for allowing us to stay in their home, fabulous and friendly to deal with.